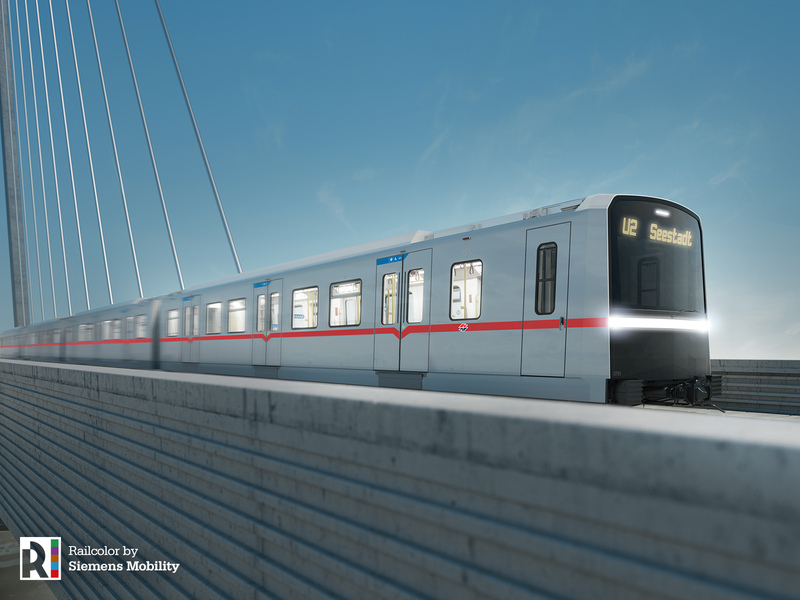 Today Wiener Linien and Siemens Mobility present the new design for the Viennese metro. 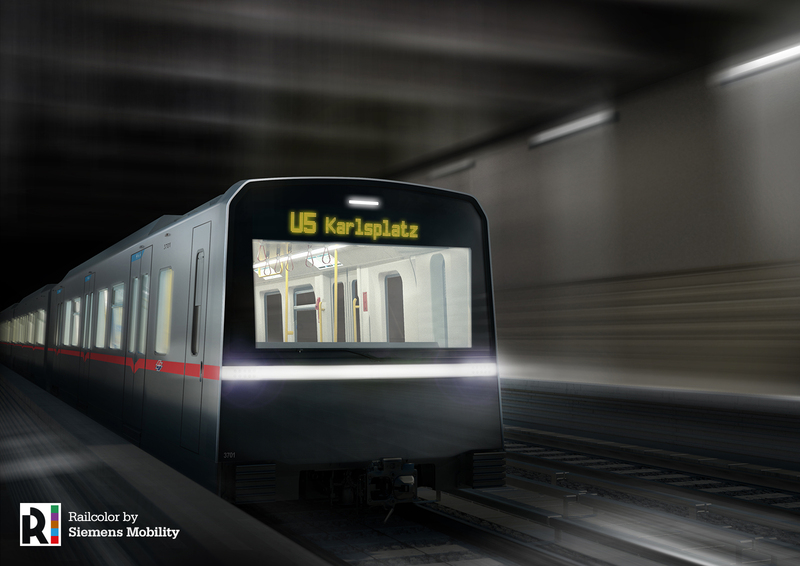 Designated as “X cars”, the new trains will bring improved travel comfort and higher capacity to the new U5 line in Vienna starting starting 2024. In the end of last year, Wiener Linien GmbH & Co KG commissioned Siemens with the delivery and maintenance of 34 fully automated metro trains, as well as an optional delivery of additional eleven units. Although the trains are fully automatic, they will be also capable of operating in semi-automatic or manual modes on the existing metro lines. The six-car trains will feature design elements from the current trains, while also complying with the most modern international safety standards. An open corridor concept will enable passengers to walk from end to end, where transparent partition behind the driver’s cab would bring a different perspective to the journey. 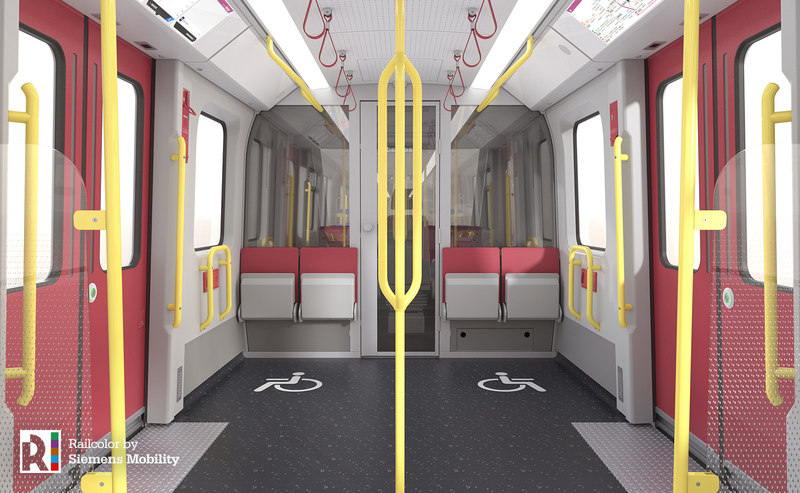 The re-arranged interior design is also said to optimize passenger flows, while providing barrier-free access to wheelchair and multiple-purpose spaces. 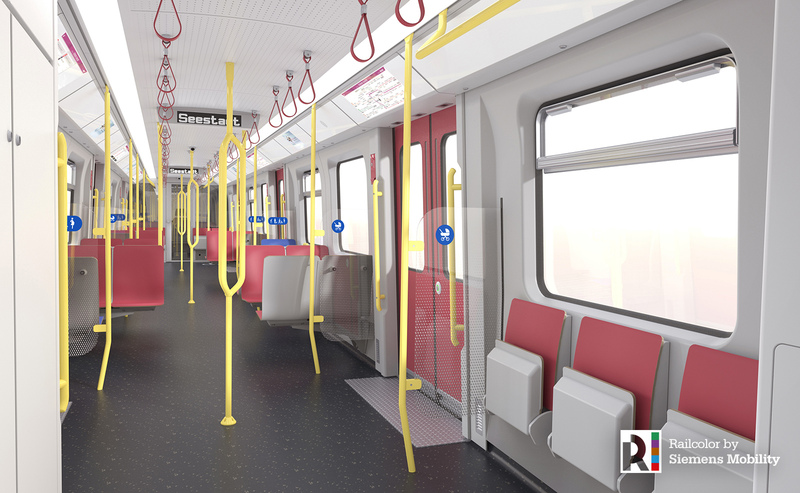 The Type X will be the world’s first metro trains to feature the new FGI Plus passenger information system, offering passengers routing directions and connection information before arrival at the station. This information will be displayed above each door of the train. “We’ll be getting a state-of-the-art train that fits our existing infrastructure and offers very good value for the money. The proven partnership with Siemens together with the maintenance contract assure us the highest care with the conception and quality of the trains, which will benefit our passengers over a long period,” noted Günter Steinbauer, Director of Wiener Linien. “We’ve enjoyed a long and close partnership with Wiener Linien over the years. 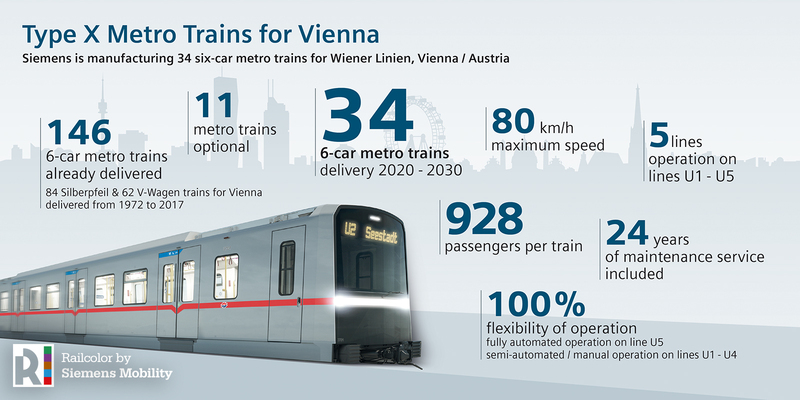 Following the ‘Silver Arrow’ in 1972 and the ‘V cars’ in 2000, it’s a great success for us to now be able to build the third metro generation for our home location – in Vienna for Vienna,” said Sabrina Soussan, CEO of the Mobility Division at Siemens. The “X cars” are also optimized in terms of environmental sustainability. This is achieved thanks to their lightweight and over 90% recyclable construction, the use of LED lighting, an advanced heating and AC system, as well as recuperative breaking.